The hardest book I've ever had to write, so far, is so close to being ready to publish! I think the blog tour is one of my most favorite parts of being an indie. and even who is begging me to finish the next in the series. I actually wasn't sure I would publish the whole series until I got such amazing feedback from everyone. For those of you who are wondering, there WILL be a 3rd book. I'm not exactly sure when it will come out, but I'd like for that to happen before the end of the year. I can't say enough amazing things about her as an artist and even a reviewer, but most importantly as a friend. Love ya Naj!! For those of you who don't know, I'm totally obsessed with book covers and bookmarks, etc. Seriously! Sometimes I just search the net for covers, images and drawings just to get book ideas. Naj is definitely one of those artists whose work speaks to me and makes me want to write. I know when she designs the cover for book 3, I'm going to fly to my keyboard to get it started. Okay, shall I get back to the point? 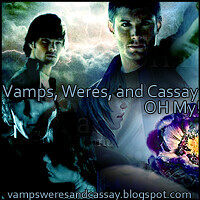 I was suppose to write this blog to talk about my blog tour! So far, I've planned a release date for Chaos as of June 30th. I've been working on my listings of all the reviewers who reviewed Released for me, which was a long time ago. Before I send out the email I wanted all you Bloggers out there who are interested to get the chance to reach out and say, "Hey, Megs! I want to review Chaos, too!" So excited for Chaos! Lol I've been in chaos trying to find out when it was coming out. I'll be shooting you an email for sure. Thank you for finishing the second book and not leaving me hanging.